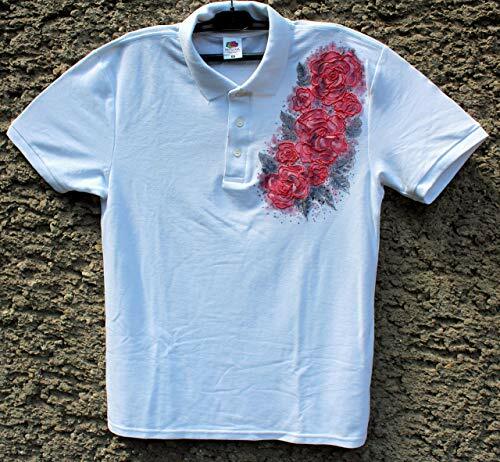 Red Roses Flower Polo T- Shirt,Personalized gift,Anniversary gift,Mother's day gift,Woman's Clothing,Birthday gift for women's,Beautiful Shirt,Gift for Her,Gires Clothing,Birthday Gift T-shirt,Gift Ideas,Hand Painted Shirt,Original Hand painted T-shirt.Polo T-shirt for Woman,Red Roses Painted Polo T-shirt. If you have any questions about this product by Netissimo, contact us by completing and submitting the form below. If you are looking for a specif part number, please include it with your message.